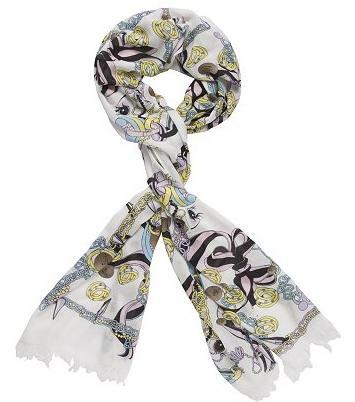 HiFashion | UK Fashion and Lifestyle Blog: Giles Deacon Scarf!! I was one of the lucky ones to win an exclusive Giles Deacon Scarf. He teamed up with Cadbury's Caramal Nibbles to create a gorgeous scarf and they did a great giveaway to promote this. A few weeks ago, Caramal Nibbles opened up online pop up stores all over the internet. This took place over two days and it was really stressful. You had to be at the right website at the right time. This consisted of a lot of refreshing their facebook page and trying to get to the right blogs before everyone else. Each pop up shop was open anywhere between 15 minutes and an hour. Once at the correct website, you clicked on the online boutique and were given a number in the queue (I was in the 900's on my first attempt! ), and had to be lucky to get to the front of the queue before the shop closed and moved to another website. 5 boutiques and 4 hours later, I recieved one!!! It was definitely worth the 4 hours, lol. Just wondering if everyone else is like me when it comes to winning, so: whats the longest queue or craziest thing thing you've done to win something? I would love to hear all your answers! Isn't it gorgeous! It was an impulse buy. I saw it and had to have it! I bought it from Accesorize for only £3.50. I don't have a clue when I'm going to wear it though. Also, due to a high number of spam, we've decided to add a word verification to stop the spam. We hope it won't put you off commenting! The masquerade mask is just adorable. Keep it, you'll have a use for that. Persuade someone to have a masquerade ball! 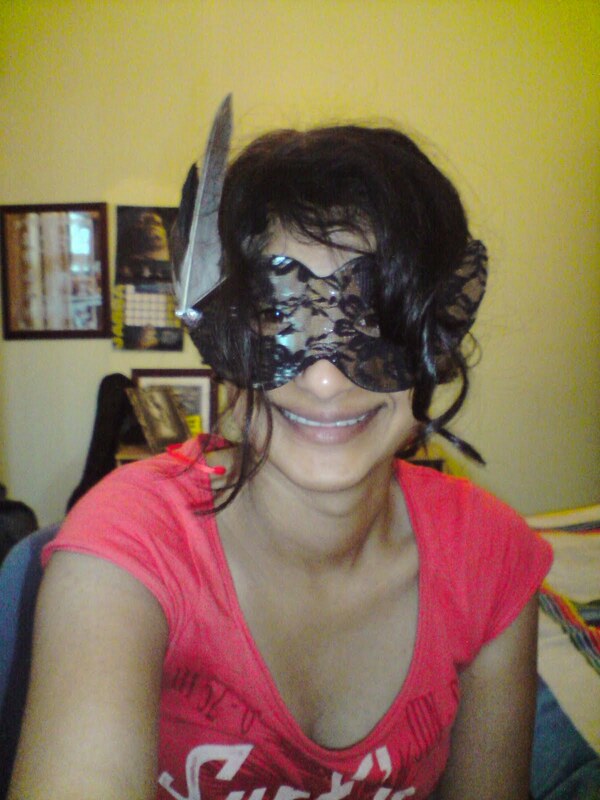 I bought a beautiful venetian mask when I was on holiday aged about 12 which sat in my drawer for ages. I finally went to a masquerade when I was 20!! It was worth the wait though! 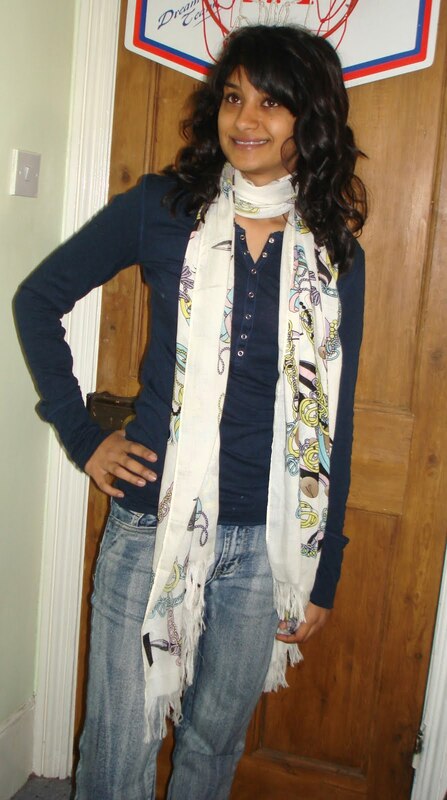 Lovely scarf, darling ~ congrats! oh wow! lucky girl, that scarf is beautiful! So cute! You must have a masquerade ball after you purchased that mask! and cute scarf! I just waited in line (two hours!!) to get in a sample sale. I'm still not entirely sure if it was worth it... honestly if I had known it would take that long, I might have left, but I guess women and fashion = crazy. Love the scarf! 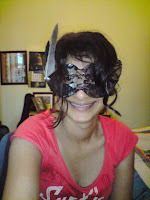 And the mask is definitely a keeper... you could use it for your next costume party! It's beautiful! Congratulations on the scarf. The mask would be great for Halloween or a masquerade party. The craziest thing, or make that dumbest thing I've done to get free movie tickets was staying late to be interviewed inside an investment company pretending to be a plush lounge. Good thing I didn't have much money during that time because they won't really let you go unless you'll fork out some cash and start investing. That mask is so cute! i love the xmas card idea! It's so cute, I'm going to have to send you my address. Dina's Days is having a giveaway! Check it out!! I love that scarf! The mask is gorgeous.